Superdry women’s Lex lace panelled top. This lace top features a flattering crew neck design and short sleeves. 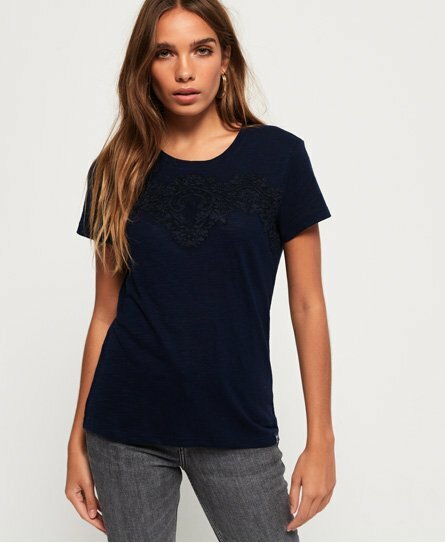 This top has been decorated with delicate lace embroidery across the front and a Superdry logo tab on the hem and sleeve. This top effortlessly tucks into your favourite jeans for a stylish yet comfortable look this season.